It's here again the Euro, today begins the veteran football competition that pits the most powerful nations on the continent. It seems incredible, but it's been four years since Torres mark this great goal in the final against Germany , and give us the nations second European title after more than 40 years of drought. The debut of our team will be on Sunday against the all powerful Italy, but if we can start before your engines with Realf Football 2012, the soccer game from Gameloft that has just been updated on the occasion of the European Championship in Poland and Ukraine. The update will challenge the competition with our favorite team and make champion of Euro 2012. Therefore, in Real Football 2012 we find all the teams contesting Euro and the database of all current players. The update has also been used to solve general game errors and to optimize its graphics engine. Best of all, Real Football 2012 can be downloaded completely free for both iPhone and smartphone operating system based on Android , so we'll leave you then with direct links to download from the App Store and Google bazaars Play. 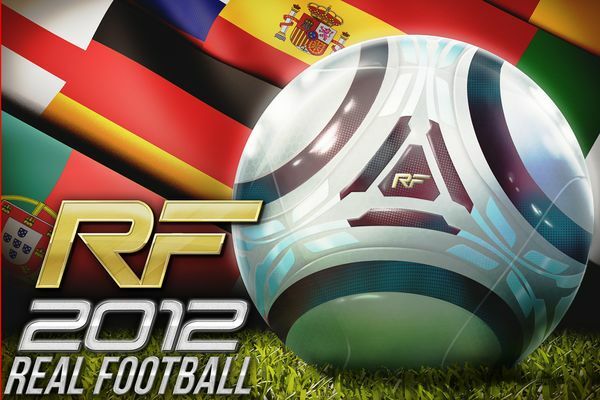 Apart from the special upgrade to contest the European Championship, Real Football 2012 offers all the features that were available previously. One of the highlights is Hypergame technology, which allows parties to recreate the news at the touch of a button. The players and their kits are fully customizable, meaning that we can change shirts and pants thanks to the editor, and if we wish to share with the rest of the community. If a kit made ​​by someone else we like, we can borrow and use in our games. The simulator Real Football 2012 offers three-dimensional graphics with over 700 animations of players made ​​by motion capture technique. With respect to the delivery of last year, players will notice an improvement in both artificial intelligence opponents as fellow handled by the CPU. This simulator brings together over 350 teams from 14 leagues, including championships in Spain, England, France, Germany and South America. Since being launched Euro and is a new game mode, you may wish to pursue more users for this competition, although it should be remembered that the other drinks are available and friendly matches and training mode where we can improve skills, not to mention the Manager Mode, where we can raise our favorite team to the top. 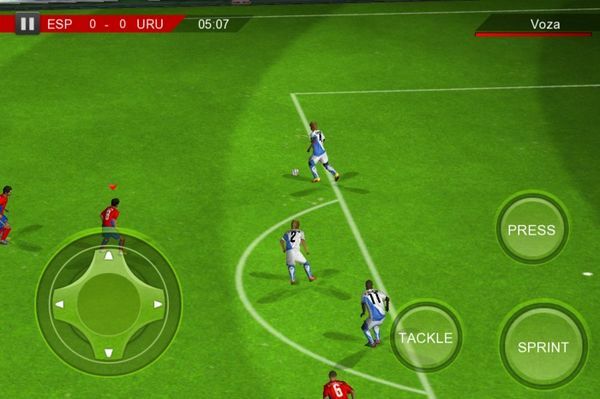 We leave you without more direct links to download Real Football 2012 on iPhone and Android.